Happy birthdays, Keith. Best wishes. "Mercy is for Fools, the dead shall lie where I powned them!!" Just dinner with my family. Went to see the Lion King in 3D the day before. It was Awesome!! Was the Lion King worth seeing in 3d? Oh hell yeah it was. Only I MISSED THE CIRCLE OF LIFE!!! I'll never forgive my self formssing it. Damn traffic. Oh well, at least I didn't miss Can You Feel the Love Tonight. Happy 18th Keith! Now you can vote in public election, right? Thanks Myrkin, and as for voting I most certainly can. I can also legally drink too, but I still ain't gonna drink. Another year, another birthday. Happy 19th Birthday, Keith. "What would you give to save your friends? 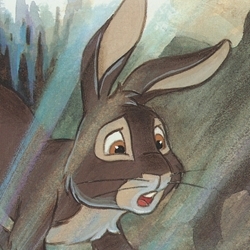 To save Watership Down?" Happy birthday, Keith! Best wishes.